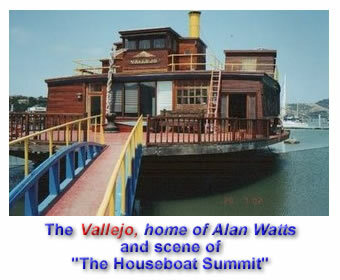 “The Houseboat Summit” was held in February 1967, and has been documented in several places on the Web. In addition to the quotes below, which are from this podcast, you can read a more complete transcript of this historic meeting here. Posted in Alan Watts, Allen Ginsberg, Consciousness, Culture, Education, Family, Future, LSD, Psychedelics, Timothy Leary and tagged Alan Watts, Allen Ginsberg, Consciousness, Culture, Education, Family, Future, LSD, Psychedelics, Timothy Leary. I find Leary’s comment on ‘his’ now famous slogan ‘s language interesting. I use the word ‘his’ lightly as I feel he had plenty of help and encouragement in choosing the language in said phrase. Drop out. Turn on. Drop in. You have the alliteration of Turn on, Tune in and then you end the phrase with drop out, an action that could be associated with ending (of a catch phrase in this case). A clever use of language, very marketable. Turn on is turn on, tune in is the problem. I’d equate ‘tune in’ to searching for yourself but in the very commercial way that was waiting just around the corner for all the rebels. The phrase perhaps encouraged participation in the new idea and next trap, the psychoanalysis driven ‘self expressive’, infinite growth economy. Finally, drop out, being the final statement and breaking the alliteration, really sticks with you when you read or say this phrase. This phrase communicates no sense of community or cooperation, it communicates loneliness and a sense of marginilization. I am a ‘dropout’ are n’t words said with pride. Again, quite interesting is the specific language Leary “chose” to communicate to the very receptive public. Wow! Amazing that you caught that mistake … kind of blows me away, actually … AND you made me feel great in that someone is actually reading this stuff 🙂 … Fixed it, thanks again! -> In the original blog page this is correctly cited with Alan Watts as its author, not Timothy Leary. Just thought it something one may feel worth changing if aware. 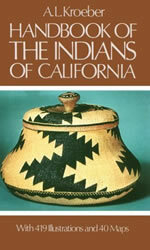 I co-host a radio show with Diamond Dave Whitaker in San Francisco called Common Threads. (You can find out more about it through my blog.) We’re big fans of you, Alan Watts, Terence McKenna, and all the other great thinkers you make available through this podcast. Oh, and I follow you on Twitter and recommend others to do the same! @Naomi … thanks for the kind words … and please tell Diamond Dave that he’s long been a hero of mine … now that Fraser Clark is gone, Dave’s about the last great one standing. Lorenzo, you could tell him yourself! Call in to the show sometime. We operate on 87.9fm in San Francisco and we do a poetry and music open mic from 4pm to 6pm every Friday. this was a highly enjoyable podcast…to be able to listen in on the conversation of such an all-star lineup of great thinkers in one room, it’s truly a great privilege to hear this. any chance you could post the rest of this session? i would appreciate it so much! thanks!! lorenzo, thank you for this little jem. alan watts and gary snyder are two of the most important literary and consciousness expanding influences of my life, for many others I am sure. May this find you well, inspired and in good form going into the burn…. we are really looking forward to seeing you at symbiosis. the lineup this year for workshops and presentations could be among the best since the palenque series, or the world psychedelic forum in switzerland. and then there’s 180 musicians and artists. cheers! Holy Ganja! Tune in, turn off, and drop out….but to where? I am loving episode 193 Lorenzo! I hav been listening since the begining man, and although haven’t had the time rto listen to every podcast, this podcast will resonate with me (and hopefully the people around me) for a long while – or short time considering on one’s perspective of time. I am alos loving your efforts for creating this space lorenzo! I feel inspired to creat a podcast for sustainable living in my area. The game is over…the test begins now:) Nice qoutes from the Genesis Generation near the end of the show. One question though, after listening to this podcast: It seems to me that the everyday technological world around me (that is computers and the internet) requires people to drop in to a system of prdouction (like high tech maquiladoras). Can anyone share their thoughs on how we humans can use these technologies without perpetuating the system. Oh man, I know this is parttially answering my own question but the tech industry seems to be run by machines! While searching for an Alan Watts lecture, America in the Year 2000, I found your wonderful podcast and ‘Dropped in’ on the amazing echos of their conversation that day. Thank you for posting it. Thank you VERY much. I’ll be dropping in again often. Aloha from Maui.